The date of purchase of the mitt is unknown to me but I am reasonably certain its first user was Stan Quinn who, I believe, was Captain/Coach of Melbourne and also in the Claxton Shield Team, probably Captain/Coach in the late 1940's. Melbourne won many 1st Grade Permierships during the 1940's with Ken Donald pitching and Stan Quinn using 'the glove'. 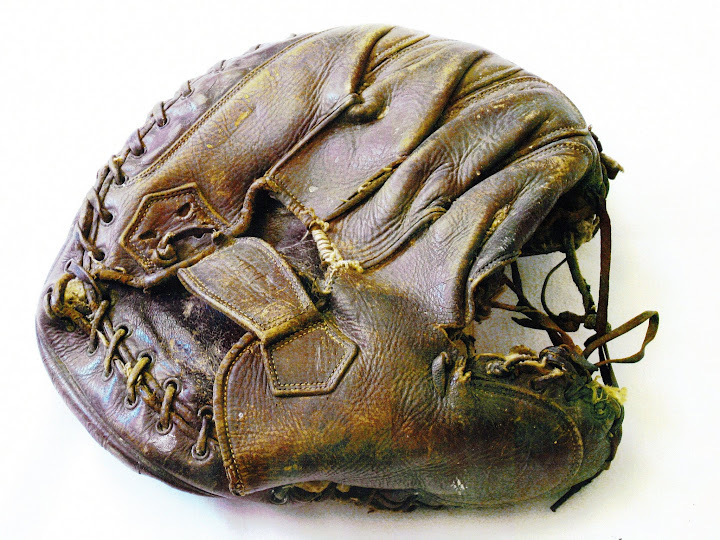 Late in the 1940's Stan Quinn retired and I took over the catching and 'the glove'. 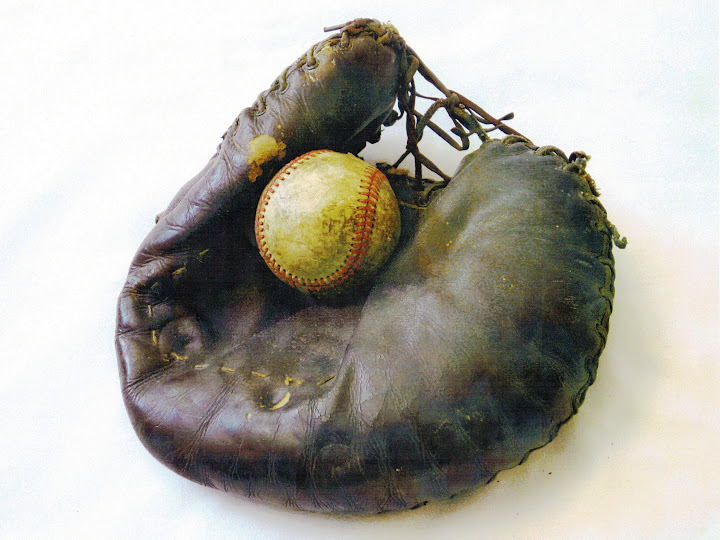 I used it constantly for the next 14 years including 5 Claxton Shield appearances, the 1956 Olypic Demonstration Game on the M.C.G., 3 appearances against the American representative team in South Australia where 'the glove' participated in, to my knowledge, the only game the Americans lost in Australia. It helped me win the Claxton Shield Best Player Award in 1954, the Victorian Best Player award named "Brad Carter Memorial Award" in 1956 and assisted my selection in the Australian teams of 1954, '55 and '56. During the 14 years, this 'special glove' also made other interstate appearances against South Australia and New South Wales on Queen's Birthday weekends. 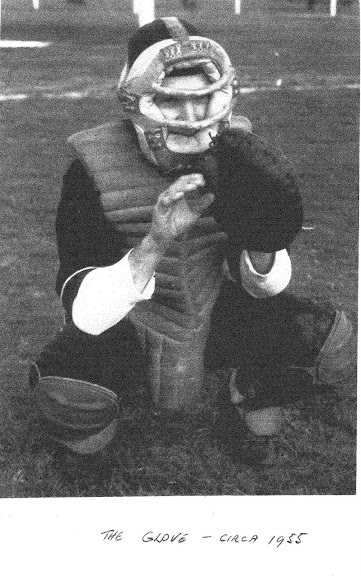 After I retired from A Grade Baseball, I spent 3 years as Captain/Coach of the 3rd Grade team which included 1 Premiership with 'the glove' still in use. 'Old Faithful' is still in my cupboard and I must admit it is certainly 'past its prime'.